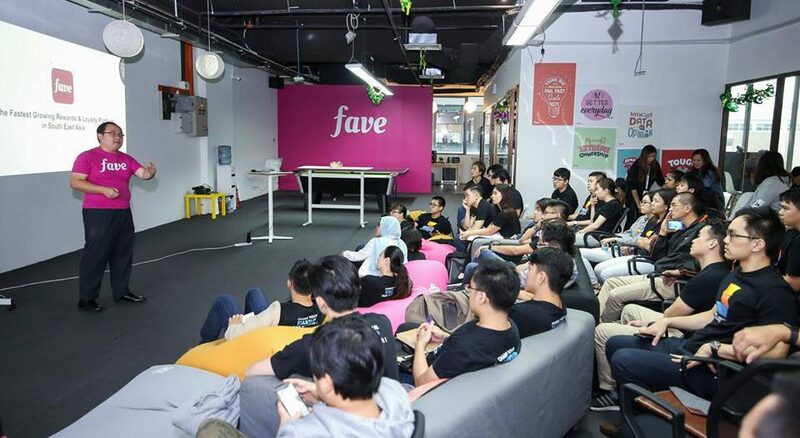 Fave’s co-founder, Chen Chow, recently shared some words of wisdom about his startup journey. Key tips include: staying positive, how to choose partnerships, and also finding something to do that you will not get tired of easily. With more and more successful startups mushrooming in Malaysia—as someone who writes about them—even I would like to become an entrepreneur after hearing their success stories. However, there are always two sides of the story, and with success comes sacrifices and hardship. People only see the success of the business not knowing how many failures a startup may have gone through over the years. Thus, it is ever important that people must understand that creating a startup is never easy and you must be ready to fight through the journey of ups and downs. During the launch of Project Alpha by SeedPlus and AWS, Fave‘s co-founder, Yeoh Chen Chow shared insights into his startup journey and some misconceptions about startups. 1. You’ll have less free time than you’ll think. Lots of people want to start a business because they think they can earn more money and be their own boss. However, Chen Chow thinks that you should rethink your decisions if you have that mindset as starting your own business is no easy task. Chen Chow mentions that if you want to build a startup to earn money or have more free time, don’t even think about it because it will be a long time before you can achieve any of that. He quotes Mark Chang, who wanted more free time to drink coffee when he started JobStreet. It took 17 years before he was able to even have that time. Yet people still say it was an overnight success. 2. Keep a positive mindset, but also be prepared. When you have started your business, you need to find motivation to keep running the day-to-day too. Chen Chow finds his motivation from his team, the people who work day and night behind the scenes. Although Chen Chow loves his team, sometimes hard decisions have to be made. He stated that for KFIT in Korea, they had to terminate 19 staff, who were even working on weekends. They not only had to shut down in Korea, but New Zealand, Taiwan and Australia. Editor’s Note: The previous paragraph has been edited to clarify the locations and the business referenced. It’s a journey of ups and downs, you must stay positive even if things get really bad. He gives an example: when they did their migration from Groupon Malaysia to Fave, everything went well. But Joel, Fave’s other co-founder, was worried the next day and called for an emergency meeting anticipating that something would break. So always be on your toes, expect the best but also prepare for the worst. And Fave’s transition from Groupon has shown good traction since that fateful day—in January this year they reported over 2 million app downloads, and counting. Partnerships can be a benefit or a danger, you have to find a fine line between. One has to choose wisely and decide who to partner with to avoid being eaten by the bigger players in the industry. However, Chen Chow has a different take on this. He prefers to partner with as many as possible. He feels that there are already multiple cashless payment options in Malaysia and all the big players are in the industry. However he noted that FavePay is not an e-wallet even though it has “pay” in it (many e-wallets use pay in their name, e.g. Razor Pay, GrabPay, AliPay, WeChat Pay and many more). Context Time: FavePay does not consider themselves an e-wallet because you do not need to make a top-up before using it. Since FavePay is not an e-wallet, they decided to incorporate other e-wallets into their platform. To them, the challenge is not the other competitors in the market; the main enemy is cash. Malaysians are still very attached to it, and the cashless systems in place are generally flawed, or have not reached the full nation. But FavePay is eyeing the largely untapped market for cashless payments in Malaysia, home to 32 million people and counting. Chen Chow gave an example where one person spends RM100 per day—with 32 million people in the country, this will equal to RM3.2 billion spent per day! Imagine if all of that was done through e-wallets. “Try to find your niche,” he said. 4. Understand that the process of building something lasting takes time. To end it, Chen Chow parted some advice for startups. “Do something that you will enjoy doing for long term,” he said. It’s an expression of how much you care about solving the problem; you must be able to work day in and out on it and never get tired of it. He added that if you have a new idea and you haven’t really worked on it, “find your friends and talk about your idea, the problems about it non-stop until your friends ignore you, then you are in a good spot”. Read more about advice from entrepreneurs who have been through the ups and downs of a startup here.